Last week I had the opportunity to spend some time at The Cusp Conference, a 2-day celebration of all things design put on by the agency team at Multiple. I originally planned on writing about all the guest speakers but frankly, there were so many of them I would be writing solely about each of them between now and next year. So I decided to select a few shining examples of speakers at Cusp who inspired me and opened the mindset to how I view design. If one of them strikes a chord with you, you’ll want to attend Cusp in late October next year when it comes back around. So often, we think of design in a traditional sense, such as graphic design, illustration, sculpture and painting. But we don’t often think of how design can be applied to business models to create ambitious industry approaches. See, things that can look beautiful (or even just orderly) on the surface can also be filled with clutter – and in the path of changing that clutter are people too close to the problem within the company or industry, set in their “that’s the way it’s always been done/that’ll never work” ways. And yet, they never asked the customer about their experience. Imagine that. Thankfully, the people I’m about to focus on this week with a few different selections are showing in their own ways how to make such changes through good design. Jon Stewart gives news outlets like CNN an epic FAIL for good reason. If you are a news outlet that doesn’t give insight and are nothing more than trying to win the race to be the “first to speculate,” that’s bad design. If you’re a journalist who makes it harder for the audience to understand the elements of a news story and is guessing right along with everybody else, what are you really adding? Worse, what do you add by shouting about it as a foursome? Tell me that this doesn’t cause greater divisiveness. Cable network news is often bad design. Good Design: Change what a news narrative can be and how it can be interpreted so that the audience is able to better absorb the issues at hand. Who says the news solely has to be on TV? Who says the news solely has to be streamed via video? We have to look for these new opportunities that the traditional newspaper is having a hard time fulfilling. 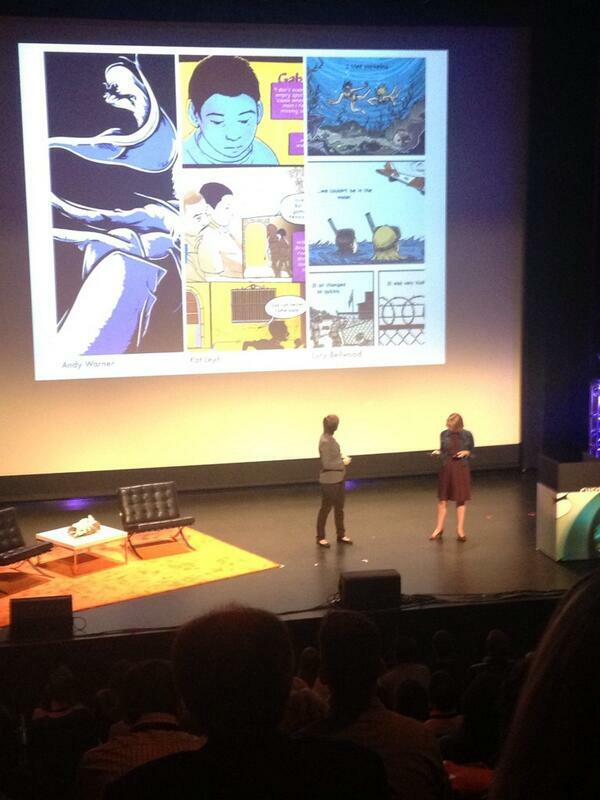 What if investigative reporting met the graphic novel format and was delivered through a tablet magazine? Such as how Erin Polgreen and Joyce Rice are delivering it through their digital news magazine called Symbolia, for example? My morning at CUSP came with a jolt of inspiration from these two ladies who have already been covered by Fast Company a few times. Simply put, Erin went from reading a Wonder Woman comic book to reading a news magazine and, in between, a light bulb went off. 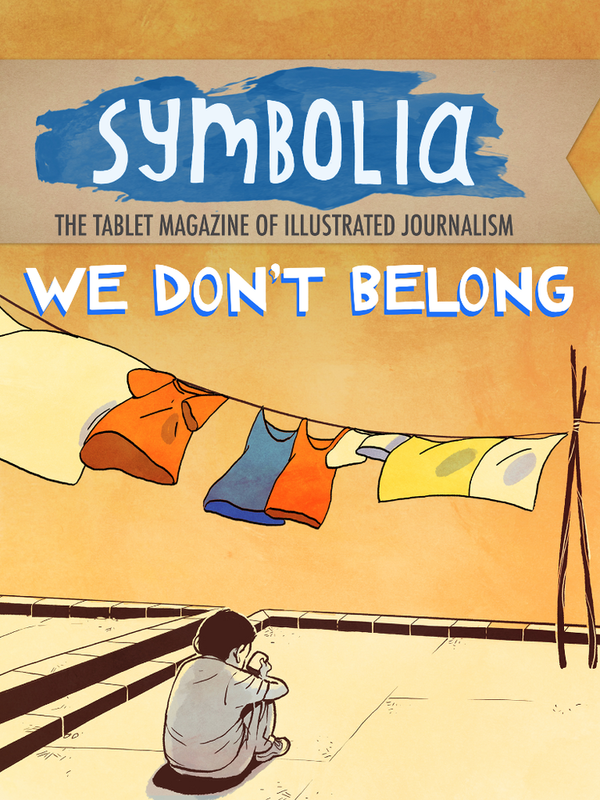 She realized that perhaps a form of “Comics Journalism,” could bridge borders. Indeed, it appears this bi-monthly product is proving that to be true. Published online, through the iPad, Kindle and in PDF form, Symbolia focuses on everything from rollerbladers in Northern Iraq, secret species in the Congo and Zambian psychedelic rock. What the duo has realized in that process is that comics have become a powerful teaching tool for their stories to people outside of the U.S., of which 45% of their readership consists of. What’s more, even the comics format itself is elevated at Symbolia, with uses of animation within stories. Imagine a band being featured within the pages of the magazine that you can actually listen to and watch in a whole new interactive way – and then share it? No matter what your preference of story is, think about what this format holds for a not-too-distance future when more and more of us will be able to absorb our news and share it with others who can appreciate it. I’m talking far more than just liking and sharing something on Facebook. I’m talking about getting into the content like never before. Combine that with investigative reporting that’s more insightful than much of the present product and guess what? Next: How Dr. Joyce Lee used a personal challenge to create an important health care solution to bad design.